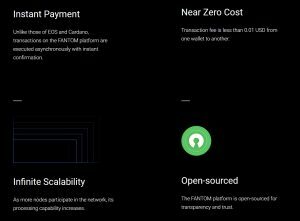 FANTOM is another DAG based Smart Contract stage that means to explain the adaptability issues of existing open circulated record innovations. 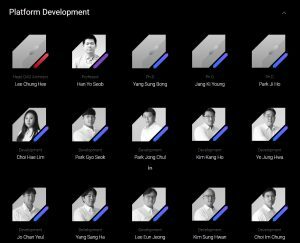 The stage plans to separate itself from the conventional square record based capacity framework by endeavoring to utilize an enhanced variant of existing DAG-based protocols. The FANTOM stage receives another convention known as the "Lachesis Protocol" to look after accord. This convention is planned to be incorporated into the Fantom OPERA Chain. 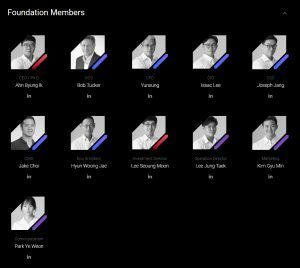 The point is to permit applications based over the FANTOM OPERA Chain to appreciate moment exchanges and close to zero exchange costs for all clients. The mission of FANTOM is to give similarity between all exchange bodies far and wide, and make an environment which permits constant exchanges and information offering to ease.